My sister recently got married in Estes Park, CO. It was a beautiful affair. And a family affair. In other words, we were all there. Since Tahosa Treasure is set near the Estes Park area, a couple of months ago Dad and I scheduled a June book signing at Macdonald Book Shop in downtown Estes. We’re pretty excited about it. Anyways, while we were in town for the wedding, we were able to stop in the bookstore and – low and behold – there was Tahosa Treasure. Our book. On the shelf. In real life. It was pretty awesome. 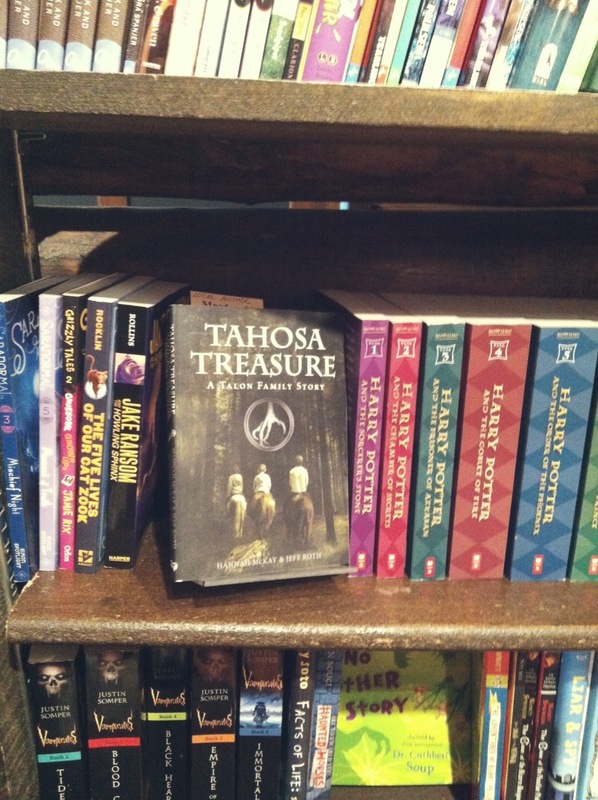 This entry was posted in Tahosa Treasure: A Talon Family Story and tagged book signing, estes park colorado, New Book Release, tahosa treasure.